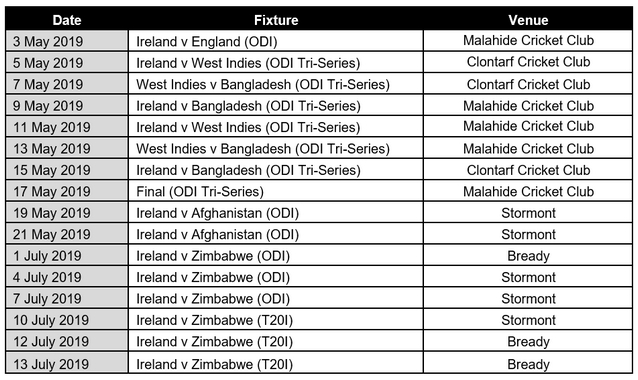 DUBLIN – Cricket Ireland has today announced that West Indies will take part in a one-day international tri-series with Ireland and Bangladesh, as part of a major international men’s schedule that will see 16 international fixtures being played around Ireland in 2019. Tickets are already on sale for the ODI against England on 3 May 2019 at Malahide. Buy them here.